Physiotherapy (or physical therapy) aims to improve and restore the physical functioning of the body back to the highest possible range of strength and movement. In Australia a doctor’s referral is not necessary to see a physiotherapist, nor is it necessary to wait until your pain is protracted and extreme to seek help from a physio. 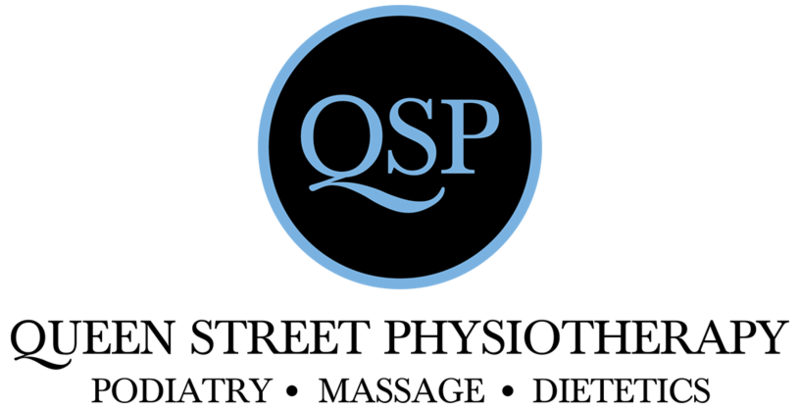 While the decision to see a physiotherapist is a personal one, here are some of the more common reasons people make appointments with Queen Street Physiotherapy. Seeing your physiotherapist after an injury can assist in the healing process, by ensuring your injury heals correctly, and scar tissue formation is eliminated or minimised. With the assistance of manipulative therapy (massage, trigger pointing, joint mobilisation), as well as correct exercise and stretching programs, your physiotherapist can assist in getting you back to full strength and movement much quicker. It’s not just elite athletes that suffer from reoccurring injuries. If you’re constantly injuring a particular part of your body, it’s likely that your physiotherapist can help you recover quicker and prevent further injury. Manual therapy can help to break down muscle tightness, and specific exercise programs designed for your individual needs can assist in strengthening problem areas, and prevent problem recurrence. Most of us have woken up at some point with a stiff neck or shoulder because we’ve slept awkwardly, and most of the time we think nothing of it. If, however, your pain is not reducing, and affects your ability to function as normal, it might be time to make an appointment with your physio. They can help to determine the source of your pain, and develop a treatment plan. Visiting your physiotherapist prior to, and after surgery is recommended to aid in a successful recovery and rehabilitation. Physiotherapists can provide you with information regarding which exercises will be necessary after your operation, as well as provide you with basic, but valuable tips about how to move about, cough, or sneeze, while protecting the surgical site. Depending on what type of surgery you are having, you may need to be confined to bed for an extended period. Your physio can assist you with exercises and stretches to prevent thrombosis, pressure sores, and muscle atrophy. Pregnancy, while beautiful and natural, also puts a great amount of stress on the body. The growing foetus and an abundance of hormones designed to relax ligaments, can cause back, pelvis and leg pain. Often this is resolved after birth, but a traumatic labour can have lingering effects. Frequently nursing a rapidly growing child may also result in neck and shoulder pain. A visit with a physiotherapist will help you recover quickly from your childbirth experience. If you’ve injured yourself at work, you may be required to visit a physiotherapist to help you recover from your injury. Even if it’s not a requirement from your employer or insurer, it’s a good idea to make an appointment, to prevent any possible recurrence and loss of income.